Enjoy this private half-day tour and experience the Rajasthan’s most alluring destination - Jaisalmer, accompanied by a local guide. Start at the majestic Golden fort of Jaisalmer and explore the seven marvellous Jain temples dating back to 12th and 15th centuries, built inside the fort premises. Understand the history of this city at the palace museum and proceed to its bustling bazaars for a glass of refreshing Lassi (local drink). Walk past the famous Havelis and visit the Tazia tower, showcasing the glorious architecture of that era. 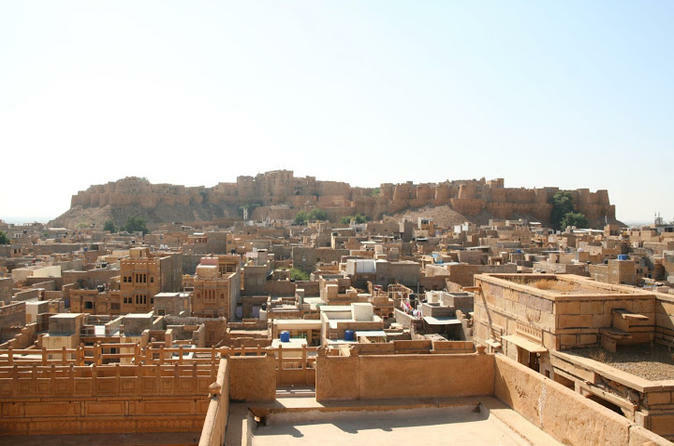 Once known as the sleepy desert city, Jaisalmer has now turned up as one of the major tourist destinations of India. Nestled right in the middle of quaint Thar Desert, the Jaisalmer city is scattered across the desert land of Rajasthan. 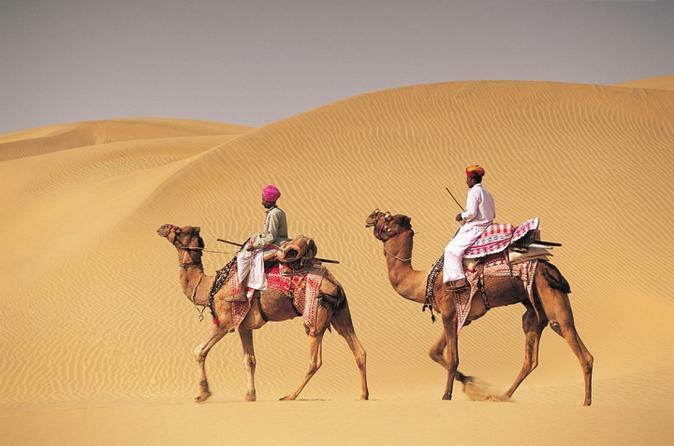 You can visit the Sand Dunes of the great Thar desert, enjoy an exciting Camel safari to reach the heart of the desert and visit Gadi Sagar Lake, Golden Fort and famous havelis in Jaisalmer.